Langley Flying School was founded in the fall of 1994, and originated as a small single-instructor and single-aeroplane Flight Training Unit. The School received its Flight Training Operating Certificate from Transport Canada on January 17th, 1995, and it has since grown to its current size, including twelve aircrafts, a Transport Canada certified Flight Simulator, a staff of twelve Flight Instructors, three administrative staff, and four Teaching Assistants. During its existence, Langley Flying School has conducted over 50,000 hours of flight training and has graduated hundreds private and professional pilots. You can visit our Langley Flying School's Graduates List and Staff Alumni to track our Commerical Pilot graduates and their current activity in the aviation industry. Langley Flying School provides training for Private Pilots and Commercial Pilots, as well as pilots qualified with the advance Multi-engine Ratings, Instrument Ratings, and Instructor Ratings. Our staff of Flight Instructor is drawn from our Commercial Pilot Graduates who have expressed interest in teaching flying..
Langley Flying School is accredited with the Government of British Columbia's Minister of Advanced Education through the Private Career Training Institutions Agency, and students are therefore eligible to apply for government student loans, in addition to private student loans. Additional information regarding both private and governement student loans can be found at the following link: Student Loans. Langley Flying School also has a Designated as a Learning Institution by Citizenship and Immigration Canada for the purpose of issuing Letters of Acceptance to international students applying for study permits. Additional information for international students can be found a the following link: International Students. Langley Flying School is also certified by Government of Canada's Human Resources and Social Development Canada (Certification). Langley Flying School students may claim pilot training costs for the purpose of obtaining a tax credit. Despite the prevalence of economic headlines that have been predominant since 2008—and seemly will continue throughout 2017—Langley Flying School staff have witnessed a continued 100% employment rate by our Canadian Commercial Pilots graduates working in Canada. That is to say, beginning in January of 2008, and continuing until the present date (updated December, 2017), all but two of our Canadian graduates actively seeking employment as pilots are employed as pilots. The two remaining graduates are both employed on the ramp for air carriers in British Columbia and Saskatchewan, enrollede in the respective low-time pilot programs for the companies; one hopes to transtion to a first officer position on the Beech 1900 in approximately a year and a half, and the other anticipates pilot employment before the new year. Langley Flying School's Canadian graduates are currently employed as pilots with the Royal Canadian Airforce (Darren Kroeker and Steve Timm), Air Canada (Feras Aboulhosn, Jessica Hamstra, Mark Cary, Nic van Empel, Tim Sawatzky, and Elbert Rhyorchuk), Simpson Air (Neil Mitchell), WestJet (Sheldon Pohl, Chris Weight, Steve Klahm, Corey Dyer, Justin Chung, Phil Craig), Northstar Air (Evan Hyslop), Conair (Ryan Gahan and Cullen Worth), Air Canada Jazz (Joel Hunt, Ben Orlowski, Patrice Gagnon, and Glen Gorrie), Pacific Coastal Airlines (Naomi Giesbrecht, Rod Giesbrecht, and James Nichols), Trans Maldivian Airways, (David Woollam, Luke Howard, and Michael MacRae), Qantus Link (Sean Larkin), Central Mountain Air (Carl Tingstad), Bearskin Airlines (Dave Page), Cathay Pacific (Michael Homes and Beau Stevenson), Air Tindi (Andrew Otterstrom and Allison Heathcote) and Summit Air (Peter Palme), Transport Canada (John Vandeen, Simon Meers). Langley Flying School graduates come quite literally from all over the world—India, United Kingdom, United States, France, Germany, Holland, Switzerland, Pakistan, The Bahamas, Nigeria, Kenya, Jordon, Australia, South Africa, New Zealand, Mexico, Costa Rica, Taiwan, Korea, Japan, Israel, Hong Kong, and China. We have a history of success with students from India, and over the years have trained numerous Indian pilots who have successfully transitioned to airline pilot positions in this country. Langley Flying School international graduates are flying with Air India (Mansi Bhatnagar, Daisy Chacko, Shalabh Tiwari, Lester Mascarenhas, Sandeep Singh, Kunal Jukar Abhitab Dhillon, and Nimish Bharne), Jet Airways (Mehesh Kaushik, and Manish Marwaha, Pankaj Salve, Gobind Sandhanwalia, Kingfisher Ailines (Pradeep Nagabhuslian, Sheroy Moos, Sagar Canakapalli and Suraj Canakapalli), Paramount Airways (Karan Khatri), and Korean Air (Seung-ha Lee). See the link on this website—International Students. The flight training and administrative operations of Langley Flying School conform with requirements established by Transport Canada and is authorized for training students for Commercial Pilot, Instructor Rating, Instrument Rating, Multi-engine Rating, Night Rating, Private Pilot, Recreational Pilot and VFR Over-the-top Rating. The Chief Flying Instructor is responsible for the content and administration of Langley Flying School's Standard Operating Procedures document, which is published on this website. The Standard Operating Procedures Manual and the Maintenance Control Manual are the cornerstone documents disigned to maintain the highest possible standards of operational safety, training effectiveness, and well as regulatory compliance with the governing federal and provincial government authorities (Transport Canada and the British Columbia Ministry of Advanced Education through the Private Career Trainng Institutions Agency). The Chief Flying Instructor is responsible for the quality and safety of the air and ground curriculum, with the air curriculum being steered through a system of Flight Instructor Check Sheets, and published Flight Training Handbooks, and the ground curriculum organized through the course manuals for the Private Pilot, Commercial Pilot, Instrument Rating, and Mult-engine Class Rating Groundschool Manuals. Excerpts of these various publications are published for student use in the Ready Room (air curriculum), and the Classroom (ground curriculum). The Chief Flying Instructor is also responsible for the conduct of pre-solo and pre-flight test check flight. The overall administration and operation of Langley Flying School is summaized in Langley Flying School Administration page. The second layer of key supervision is provided by Rita Methorst, the School’s Associate Chief Flying Instructor. The primary responsibility of the Associate Chief Flying Instructor duplicate those of the Chief Flying Instructor in all regards. The Associate Chief Flying Instructor is also responsible for the administration of written examination system, groundschool organization, and aviation document processing. At the core of the School's administration are the Staff Flight Instructors—Barry Stanley, Mohit Agnihotri, Jojhar Gill, Robin Walraven, Sheldon Hemingway, Divya Bawiskar, Abhinav Sonak, Long Long Wei, Kenneth Cho, and Parissma Patel—who are responsible for the delivery of flight training to the School's individual students; their primary focus is ensuring that flight training is conducted safely and efficiently, and in accordance with the operational training standards of Transport Canada and Langley Flying School. All line Flight Instructors have groundschool teaching responsibilities and are actively responsible for the various sections of the Private Pilot, Commercial Pilot, Instrument Rating, and Multi-engine Class Rating Groundschools. The Chief Flying Instructor also maintains a Program Advisory Committee, composed of Commercial Pilot Graduates who now work in the aviation industry. The Chief Flying Instructor consults annually with the Program Advisory Committee, seeking advice and direction on pilot-training trends in the industry. The current committee is complosed of Justin Chung (Pacific Coastal Airlines), Ryan Gahan (Conair), Philip Craig (Pacific Coastal Airlines), Elbert Ryhorchuk (Air Canada), Cullen Worth (Conair), Dave Page (Bearskin Airlines), Tim Sawatzky (Air Canada), and David Woollam (Trans Maldivian Airways). 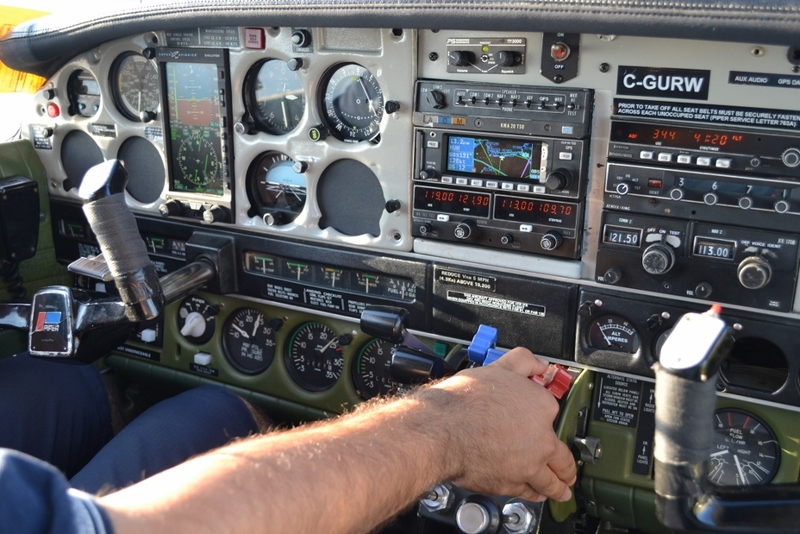 The Chief Flying Instructor also maintains a Senior Instructor Advisory Group, composed of the Associate Chief Flying Instructor, and Senior Instructors, which meets regularly to evaluate and plan flight training operations. The Chief Flying Instructor also assigns a Flight Instructor to consults directly with students on an informal basis. Flight Instructors assigned to this task convene round-table meetings with students—referred to as Student Advisory Groups—during which students discuss current issues affecting students. The goal of student meetings is to improve the student experience at the School. Langley Flying School utilizes external companies for legal, and technical management. Legal services are provided by Hamilton, Duncan, Armstrong & Stewart, and accounting services are provided by Facet Advisors LLP, Chartered Accountants. Aircraft Maintenance services are contracted to Langley Aero Structures and Canwest Aerospace, Langley-based aircraft maintenance companies that are approved and certified by Transport Canada for maintenance of commercial aircraft. 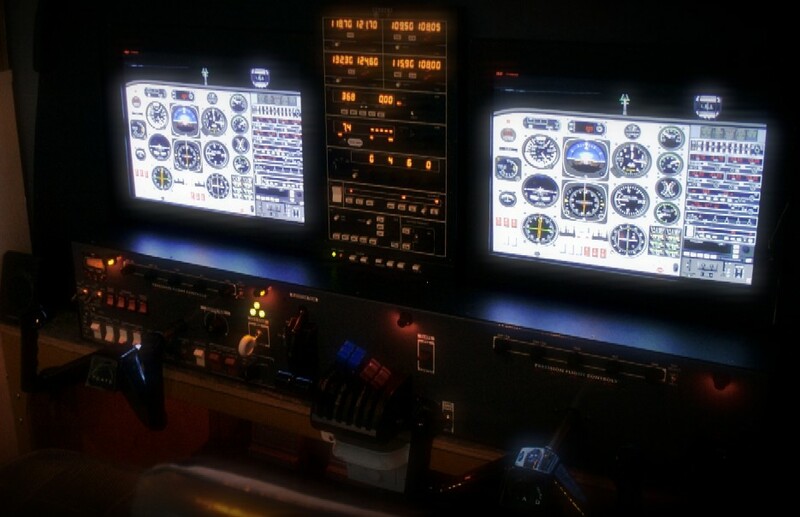 Langley Flying School, in conjunction with Mission Software Systems, has developed a fully dedicated and comprehensive computerized information system—referred to as Pilotlog—that records in detail the ground and air training activity of students. In addition to the standard training records required by Transport Canada, the program includes an Instructor Check Sheet feature which, utilizing an electronic signature system, facilitates quality assurance and standardized training for all students. Dedicated to the memory of Samuel Ruiz, this award is given to Private Pilot Students who achieve a score of 90% or higher on the Transport Canada’s Private Pilot Written examination. The value of the Samuel Ruiz Private Pilot Award is $700, and is automatically awarded to qualifying students; the award must be applied towards flight training at Langley Flying School. Dedicated to the memory of Donn Hubble, this award is given to Private Pilot Students who achieve perfect scores on all of the following flight test exercises: steep turn, slow flight, slipping, and instrument flying (full panel). The value of the Donn Hubble Memorial Award is $700, and is automatically awarded to qualifying students; the award must be applied towards flight training at Langley Flying School. 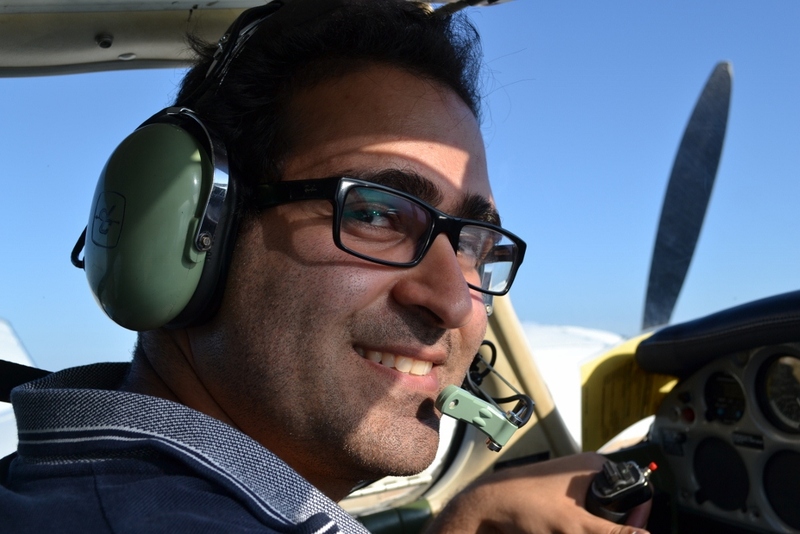 Dedicated to the memory of Adam Katagiri, this award is given to Commercial Pilot Students who achieve a score of 90% or higher on the Transport Canada’s Commercial Pilot Written examination. The value of the Adam Katagiri Commercial Pilot Award is $700, and is automatically awarded to qualifying students; the award must be applied towards flight training at Langley Flying School. Dedicated to the memory of Ed Huggett, this award is given to Instrument Rating Pilot Students who achieve a score of 90% or higher on the Transport Canada’s Instrument Rating Written examination. The value of the Ed Huggett Instrument Pilot Award is $700, and is automatically awarded to qualifying students; the award must be applied towards flight training at Langley Flying School. General Geography. The beauty that surrounds Langley Airport is truly astounding. Only fifteen miles to the north of Langley Airport are the Coast Mountains, with their peaks extending between 6000’ and 8000’ above the Fraser River Valley. To the east, some thirty miles away, are the Cascade Mountains (including the 10800’ volcanic peak of the Mount Baker), while the south and west of Langley Airport are dominated by the multiple islands and clear Pacific Ocean waters of the Strait of Georgia, which separates the mainland British Columbia from Vancouver Island. Langley Airport is seen by many as the “perfect” training airport. Langley Airport is directly adjacent to the primary airspace dedicated to flight training in the Vancouver metropolitan area (see Vancouver VFR Terminal) , and this has saved our students thousands of dollars normally associated with prolonged transition to the designation flight practice area. The same applies to IFR training facilities for advanced training (see Vancouver IFR Terminal Chart) —Langley Airport is equipped with published GPS/RNAV approach, which provide an MDA of 680’ (Langley Flying School’s Piper Seneca is equipped with an IFR GPS system, certified for both terminal and approach segments), and the ILS localizer, NDB transmitter, and VORTAC transmitter is located within 4 minutes flying time from Langley Airport. Langley Airport is both a controlled and uncontrolled airport (the operation of the Control Tower is limited to daylight hours), exposing our students to all variations in types of airport operations. Langley Airport is equipped with both paved and grass runways, permitting regular and repetitive exposure of Langley Flying School students to the variety of speciality takeoffs and landings required for effective training. Two restaurants are located at Langley Airport, one directly adjacent to Langley Flying School - Airport Coffee Shop, and the second only a few minutes walk - Adrian's At The Airport. In the summer, Langley’s weather is dominated by the clear and warm air associated with high pressure systems that migrate to the west from off-shore North America; in the winter Langley experiences moist, air masses warmed by the Japanese Current that flows off-shore British Columbia. Winter weather is the most varied and exposes students to varied VFR conditions of flight. The freezing level during the winter months typically remains above published IFR approach and en route minimum altitudes, making it especially appropriate for IFR training. Flight Training is conducted at Langley Flying School throughout the year. The School’s facilities consist of a reception area, a Ready Room for dispatching flights, four Flight Instructor offices, a Simulator Room, two classrooms, a storage room, a utility room, the Chief Flying Instructor’s office, and two bathroom facilities. The School’s accounting office is located in an office located in an adjacent hangar. All offices, the reception area, and the Ready Room are equipped with computer terminals that enable access to a centralized computer network that contains centralized documents, flight training records, and the internet. The two classrooms contain tables and chairs (to facilitate up to 40 students), white boards, an overhead projector, and one of the classrooms is equipped with an overhead LCD screen with an attached DVD player. The classrooms serve as student study areas when classes are not in session. The reception area is equipped with a couch, chairs, a coffee table, and the reception desk. The reception area also contains the School Flight Operations Screen, which displays the current operational training status of the School’s aircraft, including aircraft crew, fuel status, time of departure, routing, exercises, and estimated time of arrival. The School’s coffee machine is also located in the reception area, as well as a fridge for student and staff use. Coffee is complimentary. Next to the reception area is the Ready Room where students prepare the dispatch of training flights. The Ready Room is equipped with telephones and has three computer terminals that are utilized by students to connect with the School’s aircraft and flight training records, as well as Nav Canada’s website for pre-flight pilot briefings. Adjacent to the Ready Room is the office of the Chief Flying Instructor. It is equipped with a desk, a table and chairs, as well as a white board. The Chief Flying Instructor’s office also serves as a briefing room. The utility room is accessible to all students and staff and contains a second fridge and a microwave.